Our new light, refreshing moisturizer provides all-day protection with the naturally revitalizing scent of sun-ripened lemons. 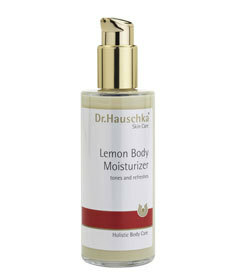 Lemon essential oil transports revitalizing energy to the skin. Olive and Jojoba oils hydrate and protect. Sage and Blackthorn extracts purify and fortify.